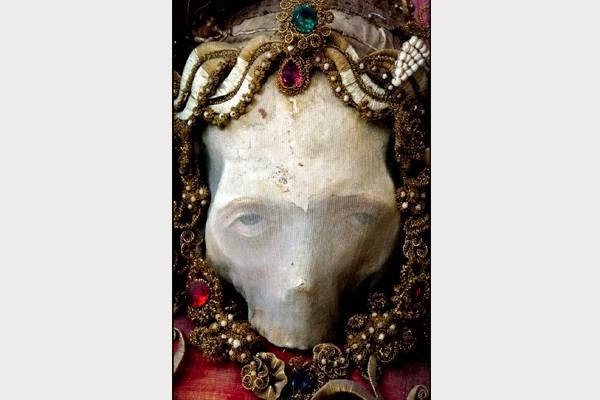 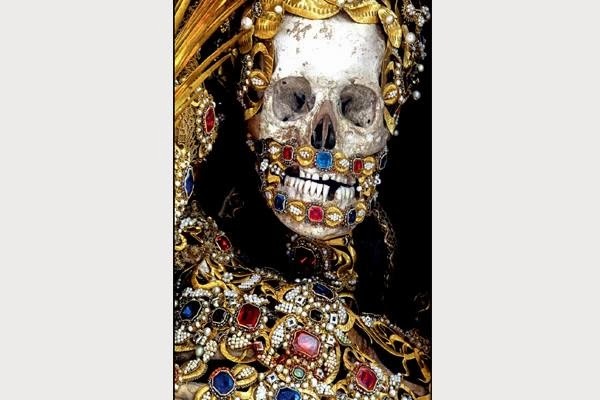 This is the pictures of skeleton found from the catacombs of Rome! 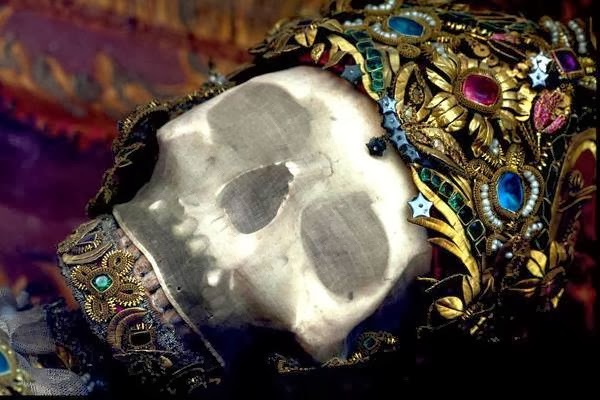 Back in 1578 came the fascinating discovery of a network of labyrinthine tombs, lurking deep beneath the street of Rome. 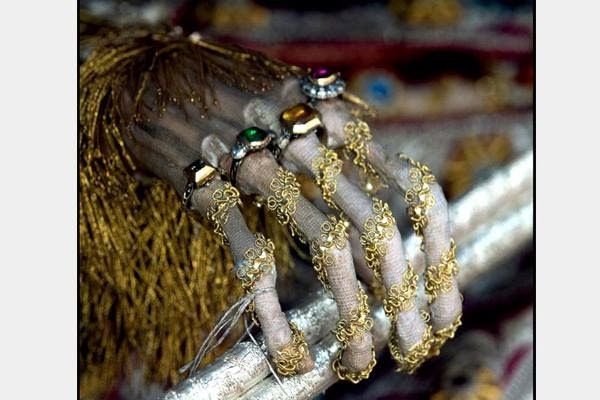 Many of these skeletons were then distributed across Europe (predominantly Germany) as replacements for the countless holy relics which had been smashed, stolen or destroyed during the Protestant Reformation. 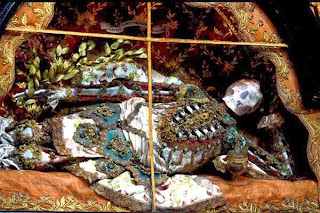 Once delivered, each skeleton was then clothed and adorned into a variety of precious jewels, expensive cloth, crowns, armour and even given wigs. 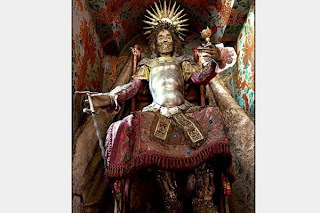 They were put on display inside their designated churches as a reminder to all who visited, for the riches and wealth that awaited them post death – providing they swore allegiance to the Christian faith. 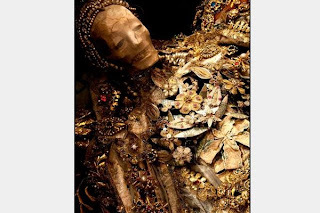 In fact, many of the skeletons are yet to be put on display, still stored in containers waiting to be dressed and revealed to the public. 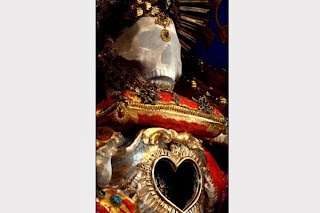 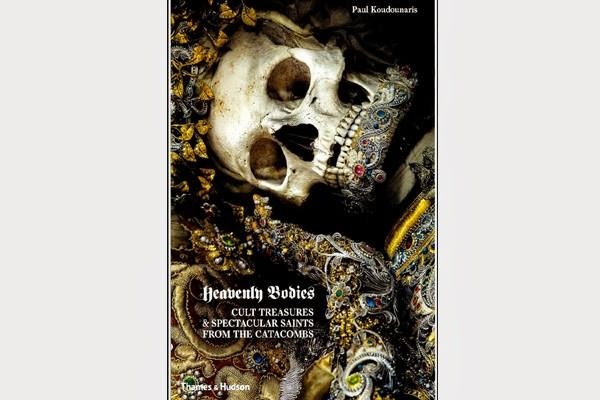 More about them can be found in Paul Koudounaris’ book – Heavenly Bodies: Cult Treasures and Spectacular Saints from the Catacombs.